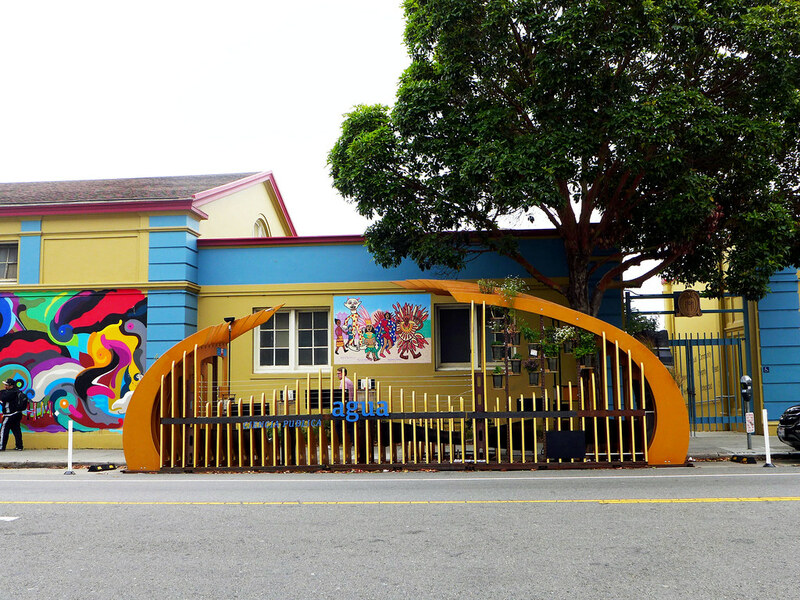 An active part of the Horace Mann Middle School’s curriculum and community. 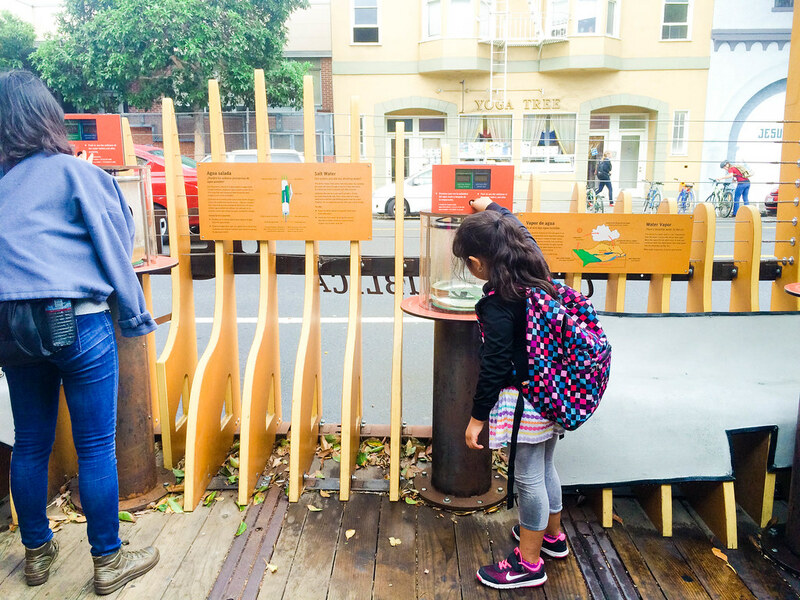 Ciencia Public Parklet is currently hosted by Horace Mann Middle School, just outside the school campus entrance. 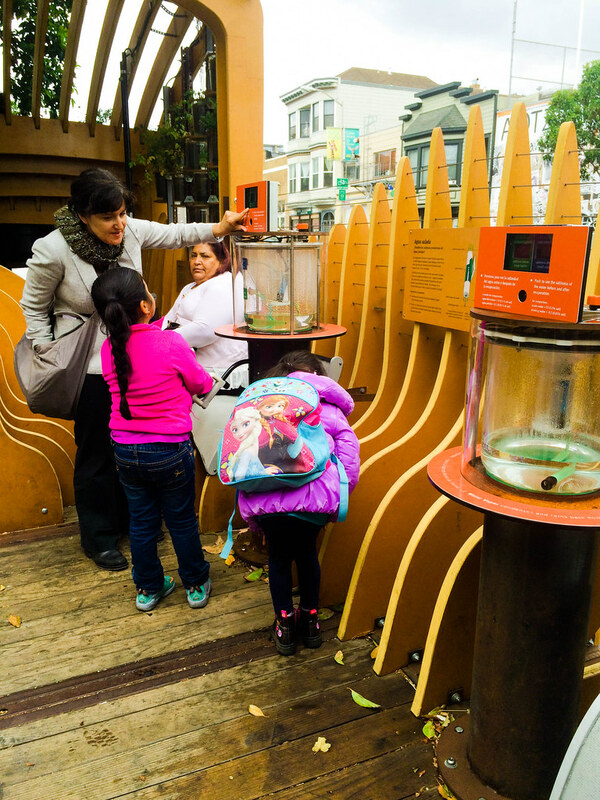 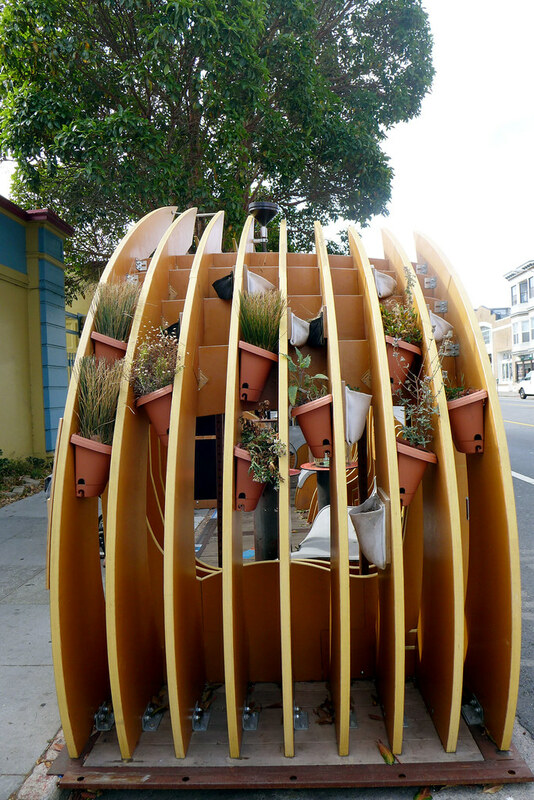 The parklet—a temporary public space the size of two parking spaces—holds exhibits on the theme of water and sustainable water use, including a desalination pump, a rain gauge, and a low-evaporation plant watering device. 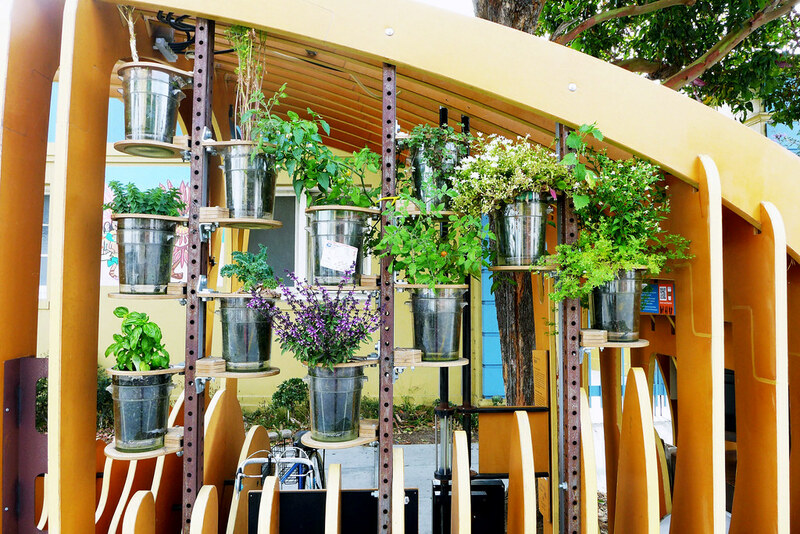 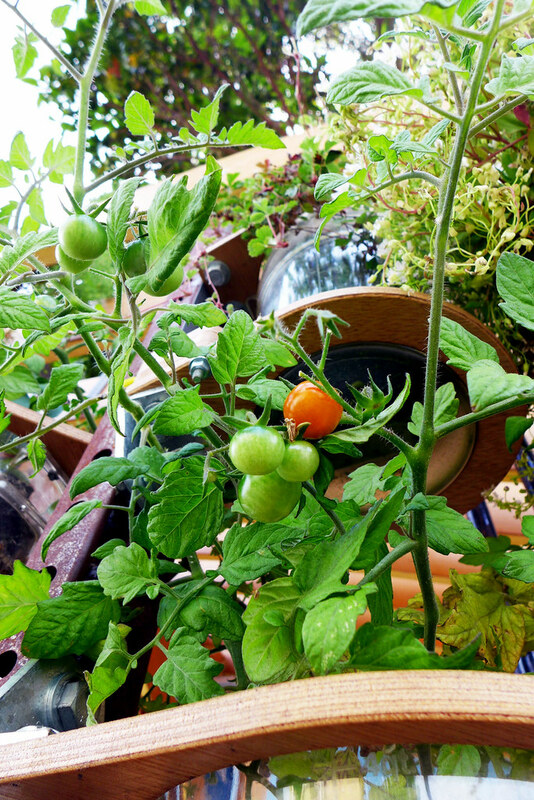 Seating and greenery, including food plants free for harvesting by locals, make the parklet a comfortable and attractive neighborhood space. 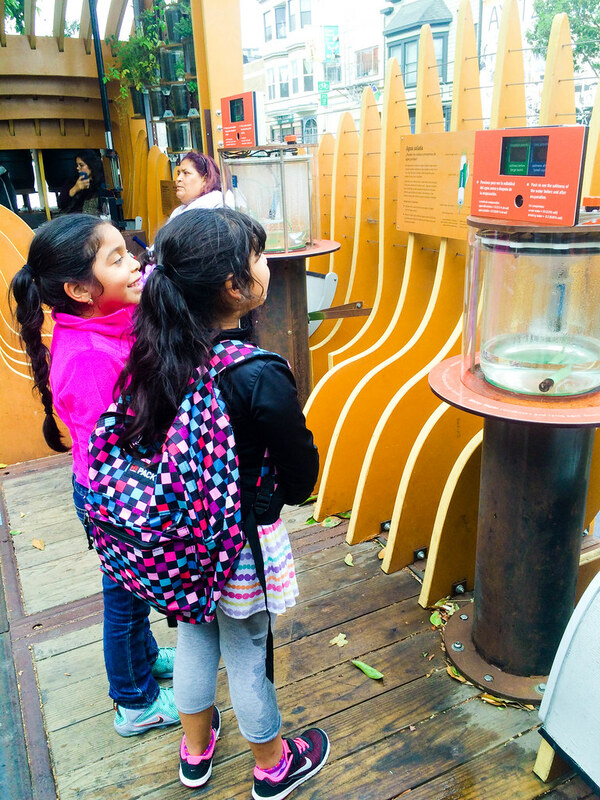 The Exploratorium worked with the Boys & Girls Club to investigate several other sites throughout San Francisco, finally collaborating with the administration at Horace Mann Middle School. 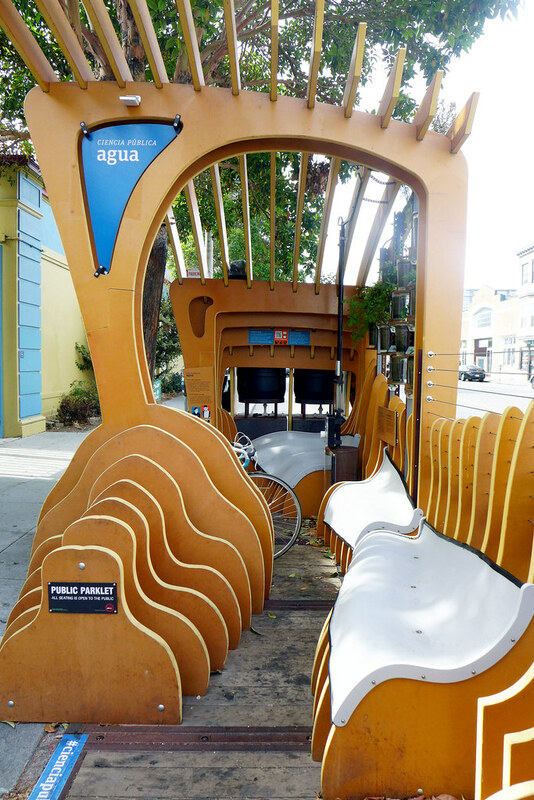 The parklet was co-developed with community-based organizations in the Mission—a process that was as important as the ultimate product. 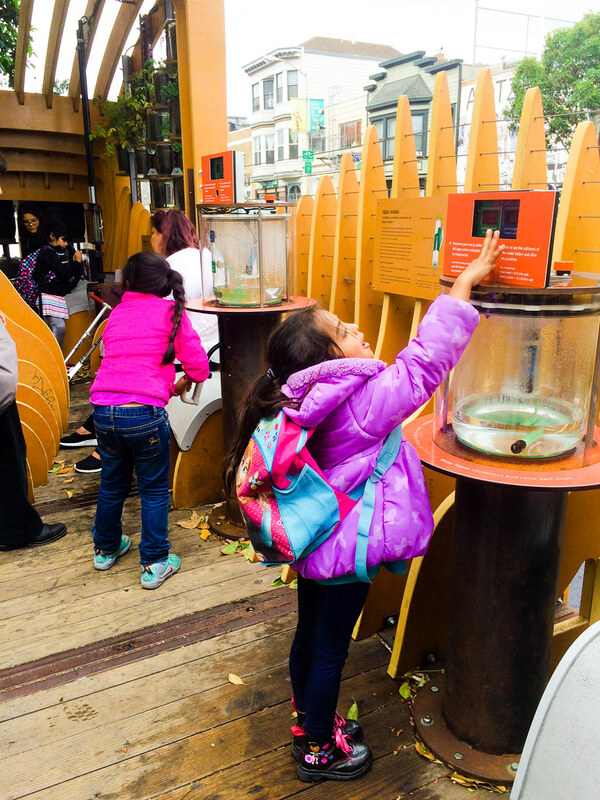 Neighborhood youth from the BGC spent two summers working with the Exploratorium to plan the public space. 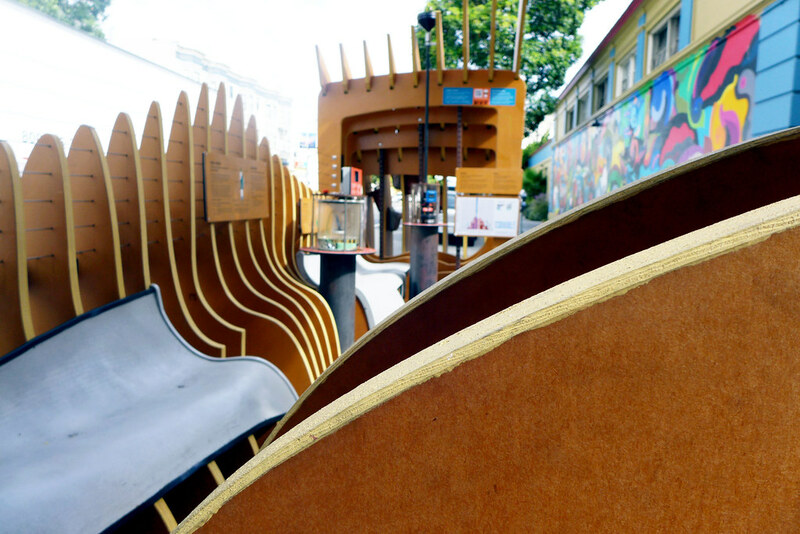 In the process, they developed skills in design and planning, exhibit prototyping, fabrication, and user testing. 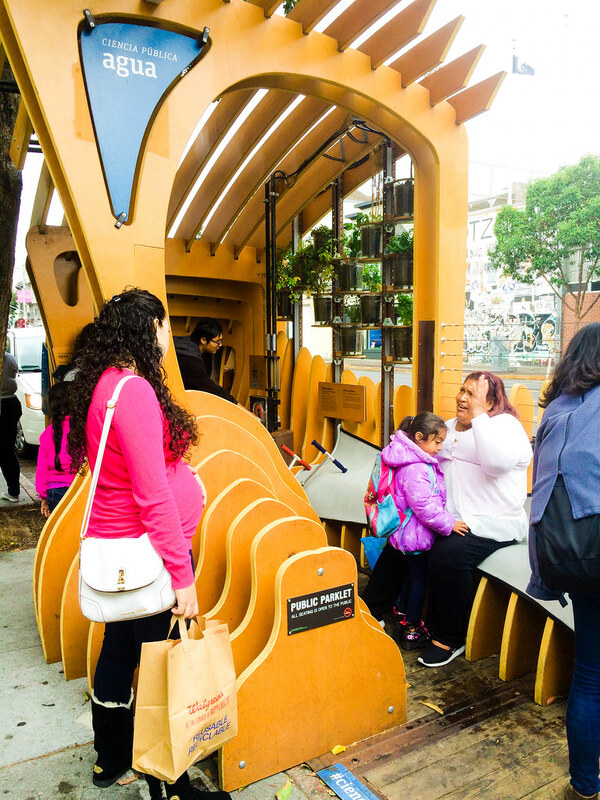 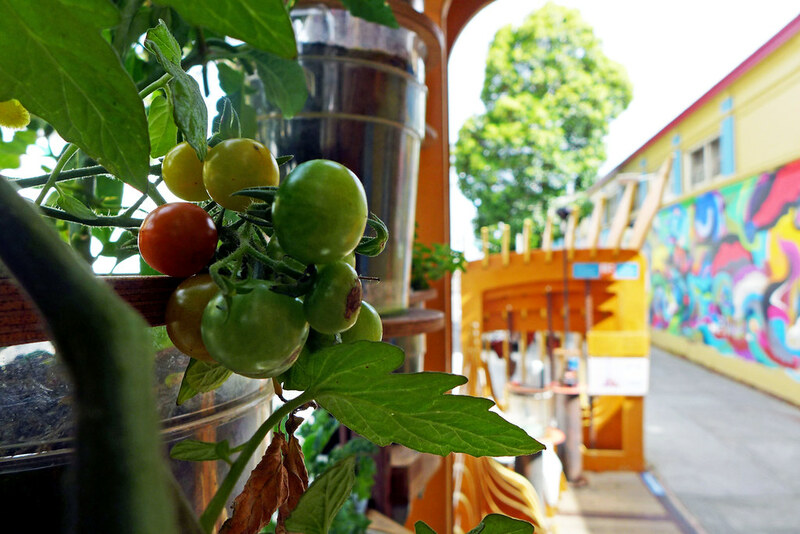 The parklet now resides next to Buena Vista Horace Mann School, where teachers, parents, and the school garden leader worked with us to shape the final plans so the parklet would become an active part of the school curriculum and the community. 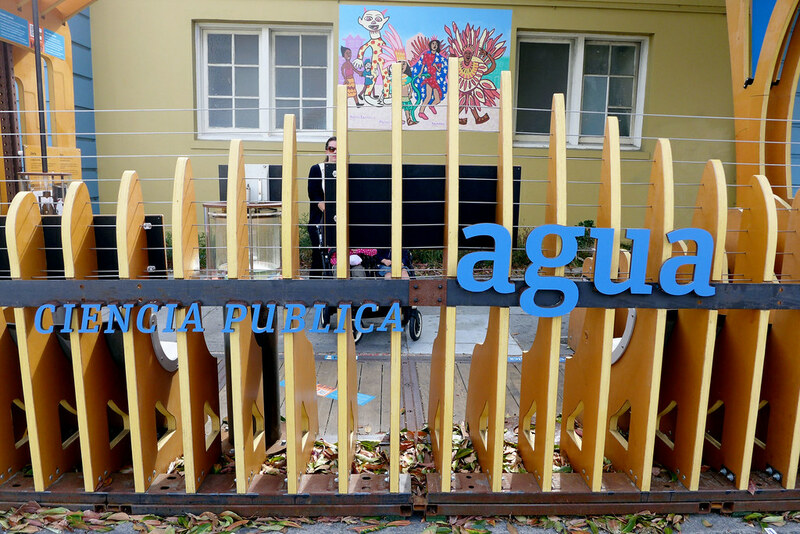 More about Ciencia Publica Parklet funders and donors.